Elegy, the third album from Canada’s Finnr’s Cane, presents a familiar scenario for wooden, atmospheric black metal. There is the demonstrable foray into the forest, replete with folk stylings and the necessitated harshness. Cloak and dagger are there as well, as evidenced by the band members’ pseudonyms. The songs are, naturally, voluminous and cascading. (It’s like we’re checking off boxes here, really.) But, the catch remains whether Finnr’s Cane and their ilk are more concerned with not getting boxed in by their own ambitions than just going with the gentle tide, er, stream. 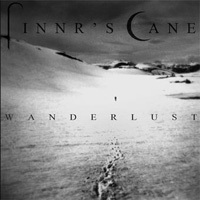 On Elegy, Finnr’s Cane answers a bit of both. Painted, at least in some form, as a Canadian Agalloch, Finnr’s Cane (who comprise vocalist/guitarist The Bard, cello/keyboardist The Slave and drummer The Peasant) on a few occasions, recall the sadly-disbanded Portland troupe, a band who should be credited with paving the way for the current hues and shades so many atmospheric black metal bands are privy to. 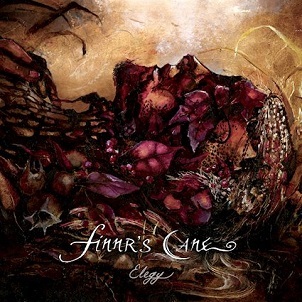 And indeed, Finnr’s Cane successfully oscillate between snowy BM stomps (“Willow,” “Earthsong”) and careful, plotting forays through the proverbial wilderness (“Elegy,” “A Sky of Violet and Pearl”). 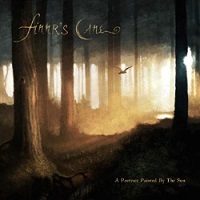 It’s quite natural to expect soft-dude clean vocals to come falling out of the sky and into our laps, yet Finnr’s Cane avoids that measure in place of harmonious acoustic guitars and back-and-forth guitar harmonies. A song like the aforementioned “Earthsong” is probably the best spot for the Canadians, somewhere between the contemplative realms of Agalloch and the folk tidings and spirits that are so intrinsic to atmospheric black metal. You can sense Finnr’s Cane are capable of getting over the threshold, but on Elegy, their path, at least temporarily, is blocked by boulders and brush.